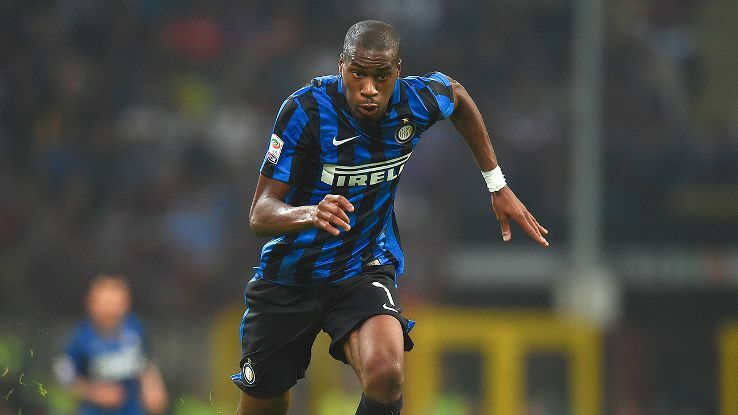 Inter Milan midfielder Geoffrey Kondogbia has issued a come and get me plea to Valencia, according to reports. Kondogbia has been linked with a summer move back to La Liga in various media sources, claiming that both Barcelona and Valencia have shown interest. The French midfielder joined Italian giants Inter in 2015 from Monaco and he has since made 56 appearances in Serie A. Consistent performances have gained interest with La Liga sides remembering his time at Andalusian club Sevilla, where he first came to prominence, helping them to Europa League success. According to Plaza Deportiva, Kondogbia has now indicated to Valencia that he would like to join the club. It is further reported that a loan deal could be agreed which would include the option to buy next summer, however, that has now been confirmed due to Valencia’s lack of funds. The 24-year-old is said to be willing to take a wage cut and join Los Che, claiming he would have a good chance of making France’s World Cup squad next summer, gaining regular playing time. Having begun his career in France with Lens, Kondogbia has gained 5 international caps and was part of his country’s U20 World Cup win in 2013.